I arrived at Devonport with my Dad and my sister Hannah. We were going to Rangitoto Island with KCC (Kiwi Conservation Club). We went into the Devonport ferry place and we had to wait like half an hour for the ferry to come. Finally we were on the ferry! It took about 20 minutes to get to Rangitoto Island. Finally we were there. Wow Rangitoto was amazing! There were so many green trees! Finally we hit the trail! I got really hot. It took about 1 hour to get to the caves. On the way we had breaks. When we finally got to the caves we were put into two groups. One group went into the caves and one group had lunch and then we switched over. I had lunch first and then my group went into the caves. It was really dark. Lucky we had torches! Finally we got out of the caves. Then we went up to the summit. It took about 20 minutes. Wow, the summit was amazing and the view was incredible. You could also see inside the crater of Rangitoto! We stayed at the summit for about 20 minutes. Then we headed back to where the ferry would come. We had to wait about half an hour until the ferry came. Finally it came and took us all back to Devonport. It was a bumpy ride! What a fantastic day! Get your kids out into nature – get them a membership to our Kiwi Conservation. Phil Bilbrough has contributed 21 entries to our website, so far. View entries by Phil Bilbrough. this is what Peter Crossley had to say ; “the majority of the Lava caves lead off the lower lava rim of the Volcano near the summit. 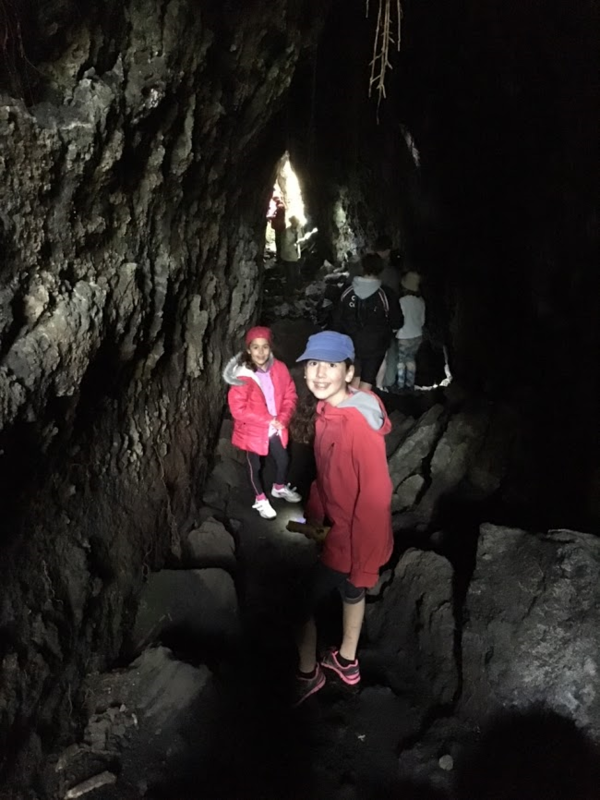 “He says these ‘tourist caves” are some of the best lava caves in Auckland since they have not been spoilt by housing developments and bulldozed away. It is only Auckland and possibly the Bay of islands that there are lava caves which are formed over as little as a few days following a volcanic eruption. A cave is formed when flow stops and the hot lava drains away from underneath the crust.. If the lava was flowing in a conduit , then the cave will be a tube, usually with a flat floor and an arched roof.This is what we explored in the Southern Cave.